We've already released two games. A puzzle platformer Toby: The Secret Mine (2015), which wasn't very good (actually quite bad) but we learned a lot. 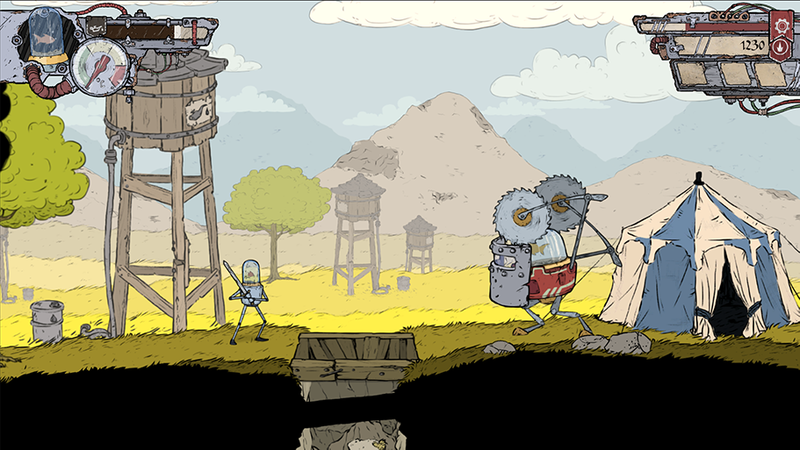 And Feudal Alloy (2019), an action RPG with fish-controlled medieval robots. Our main goal is to stay independent and work without publishers, or anyone else who would tell us how we should make games. I don't have money to support this. No problem at all! Sharing on social media is always appreciated! Patreon is a web based platform wherein regular people can support various projects by pledging a certain amount of money every month to the projects.